Have you noticed all the articles about activity trackers lately? Apparently I have, because I bought one. I’ve always thought: that’s just an expensive pedometer, you idiots. But then I got it in my head that I wanted to go to fat camp, looked up what it costs, and said “waaaa. I can’t afford fat camp, so I’m going to buy myself a fancy tracker.” I’m a very rational person. 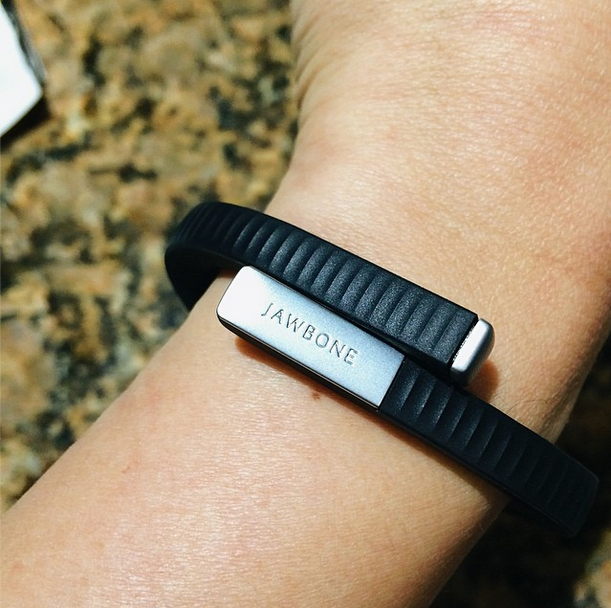 Anyway, that’s how I ended up with a Jawbone UP24 around my wrist. 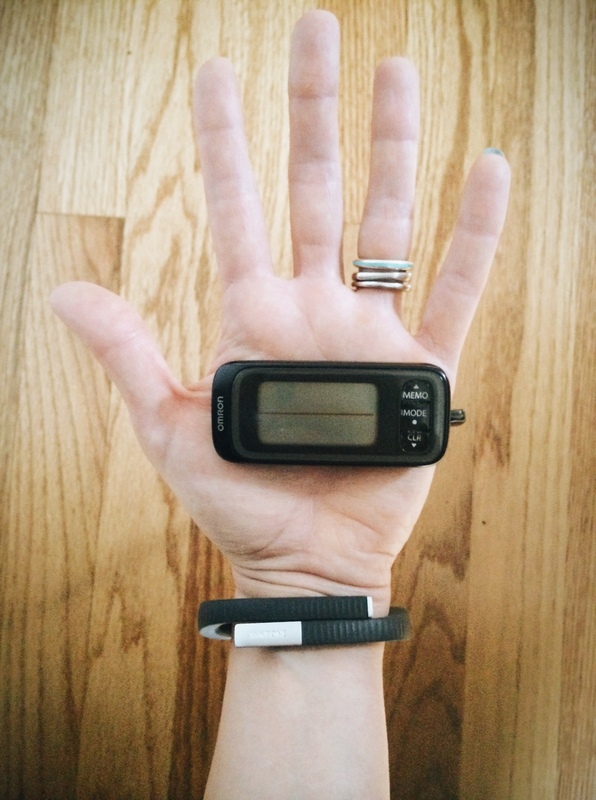 I’ve been using a little $20 pedometer for years. It works just fine, and it’s just as motivating as it needs to be. (The $10 ones break too easily.) It taught me that when I work full time in an ad agency and don’t walk to work, I only get 2500 steps a day. (A normal human being, not even working out, is supposed to get 10,000.) That is useful, life changing information. You could give $20 to a friend and ask her to tell you to slap you every hour and walk more, but she won’t be able to paint so stark a picture about how little you actually move and how close to inanimate you actually are. PRO: wearing an activity tracker does communicate to you and others that fitness is a priority in your life. PRO: It tracks your sleep. And it has made me realize I’m getting a lot less sleep than I thought I was. PRO: It gives you updates on your progress and tips throughout the day. Like when it saw me only get 6.5 hrs of sleep for four days in a row it told me to catch up on some zzs over the weekend. Aw. It cares about me! PRO: it’s always synching to your iphone via Bluetooth and the battery lasts a good few days. PRO: You can set it to buzz to give you reminders when you’ve been inactive for too long! You don’t need to pay a friend $20 to slap you every hour and tell you to get up and take a walk. PRO: smart sleep alarm: it can wake you within 20 min of your planned wake up time, but at a point when you’re in a light sleep, and before you slip back into a deeper one. Less zombie-like mornings. PRO: I don’t have to clip it on my pants or put it in my pocket or take it out of my zipper pocket in boot camp when we lie on our back for abs. 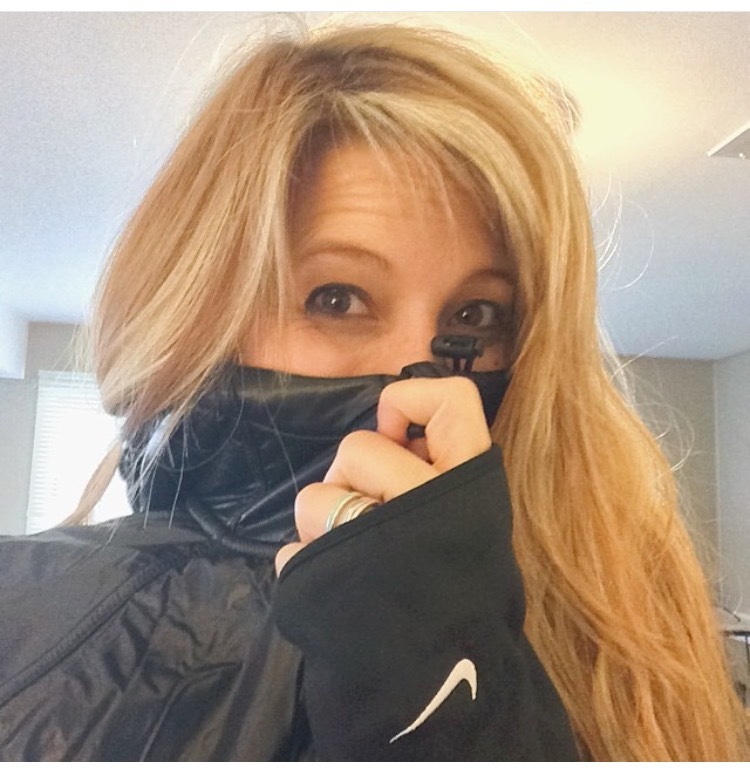 PRO: you can synch it up with lots of other apps like My Fitness Buddy and track my run for even more accountability and insights. CON: I’m pretty sure it counts hand clapping and bumpy car rides as steps. So that means it probably counts regular car rides? That’s not cool. Pedometers do not do that. CON: I’ve somehow lost the USB plug and I can’t charge it until I find that stupid thing. The charge lasts a few days. The pedometer uses a watch battery that lasts months. CON: no heart rate monitor, so no calorie burn feedback. Some do have this. They are big ugly watches as far as I can tell. CON or PRO? no display on the bracelet itself. At first I thought I wanted a display, so I was considering the Nike fuel band. But I didn’t want to deal with made up fuel units (nike tracks “fuel” not calories or steps I don’t think). And I thought it might be distracting to have flashing lights going off all day, so, I went with the jawbone instead of the Nike. It is nice to see how many steps you’ve gotten at a glance. But it’s on your phone, so all you have to do is glance at your phone. And it shows you what percentage of your step goal you’re at so far, so that’s extra motivation. CON: I’ve been told that the new iphones can use their accelerometer like a pedometer and there are apps that basically turn it into an activity tracker. If you have it on your body at all times. Which I don’t. But, you know, FYI. Those exist. And many are free. CONCLUSION: Up 24 Loses. Technically. Rationally. Why? Because if you want a bracelet tracker, there are cheaper trackers that I’m sure do the same thing, and work with more platforms. And unless it’s a (big ugly) heart-rate tracking one, it doesn’t do anything that fancy. It is a useful app to hub all of your tracking in one place, but I don’t think that’s really worth $150. EMOTIONAL RATIONALIZATION BONUS! Hey. If seeing a fancy little thing on your wrist all day makes you more committed to getting your steps and whatnot, maybe that is worth something. And it does make a statement. And it is a conversation piece. And it’s easier to keep track of than a little slippery thing you have to put in your pocket every day. I have lost my little pedometer a few times. Pedometer = “Wait. What pair of pants was I wearing yesterday? Did I put it in my jacket pocket?” Plus, the sleep and inactivity alert things on the UP 24 are pretty rad. (I’m sure other trackers have that too, though.) 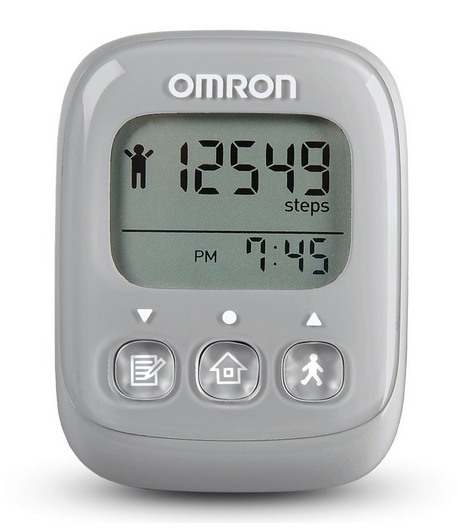 But seriously, if you’re broke but want to track your steps, look for an app, or go on amazon and get this little pedometer. The ones at the drugstores and Target have springs in them, and they break. I’ve gone through many. I like the Omron brand. They’re solid. This isn’t the one I have, but I think it’s the one that came after. Close enough! ← Why fitness fashion matters.